EPSolar was established in March 2007 with more than 30 million RMB registered capital, as a new and high-tech enterprise which was specialized in power products researching, manufacturing and marketing. 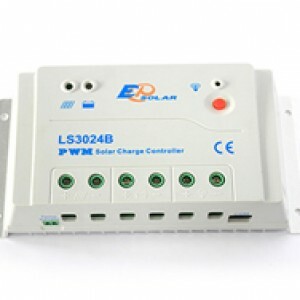 They provide products including solar charge controllers, off-grid inverters, LED drivers and special power units etc., as well as design and supply relevant solar application systems. The company has passed the ISO9001: 2008, and products have passed CGC-SOLAR ,CE ,ROSH, FCC and ETL certificate, as well as other domestic and international authoritative certification and a number of patents. Having changed their name slightly to EPEVER, all the products have been extensively applied and highly appraised in a number of major projects in China and in more than 120 foreign countries and regions across the globe. Starting out with the simple and small Pulse Width Modulation (PWM) regulators, EPEVER have made these items their own. 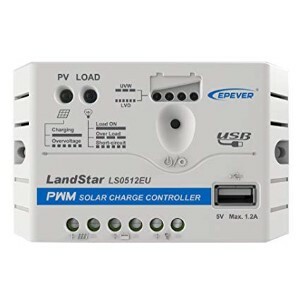 The old Landstar models have been tried and tested for years, whereas the newer models have been built on the same reliable components, but increased the functionalities, including adding a USB port for charging phones directly. The Duo-battery solar controller from EPsolar allows up to two separate battery banks to be charged from a single solar array. Perfect for motorhomes and river boats with a starter battery and a leisure battery. 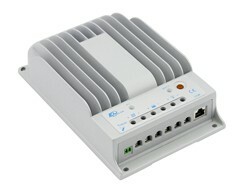 Suitable for 12V and 24V systems. A compact and new model 5 Amp regulator from EPSolar with USB output for charging mobile phones and other small electronic devices - suitable for solar power systems up to 60W (12V). A compact and new model 10 Amp regulator from EPSolar. With automatic system configuration, new aluminium heat sink and high-efficiency PWM charging for optimum performance - suitable for solar power systems up to 120W (12V) or 240W (24V). The Tracer series has continued to dominate the off-grid industry across the world. Beginning with the old Tracer RN, the brand has continued through into more modern and hard-wearing models such as the Tracer BN, Tracer A, and now the Tracer AN. 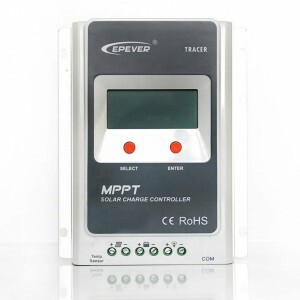 With ever greater Maximum Power Point Tracking (MPPT) efficiencies and more robust components, EPEVER are producing quality controllers for the budget off-grid market. The Tracer-BN series from EPSolar is regarded as the most popular choice for off-grid solar power cutomers. With excellent heat dispersion for efficient charging, this 40A MPPT controller is suitable for 12 or 24V off-grid systems. The Tracer-A series from EPsolar is the latest model on offer and combines the same great performance statistics of the BN series, with a built-in LCD display for convenience. 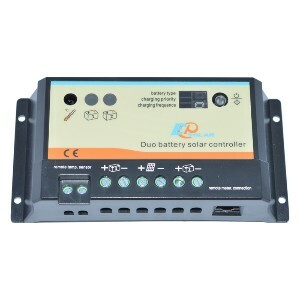 This 20A model is suitable for 12 or 24V solar power systems. The Tracer A series of MPPT regulators are both economic and efficient - and come with an in-built LCD display for monitoring as standard too. This is the 40A model, suitable for both 12V and 24V battery banks. A nice budget option for 12V or 24V pure sine wave inverters, the EPEVER range covers the small off-grid requirements for getting 230V AC from a leisure battery. From the reliable and cheaper solid-state EPEVER SHI range, to the transformer-based heavier STI products, these inverters. More information can be found on the individual product pages.